Each year, the Ford Foundation offers approximately 65 predoctoral fellowships ($24,000 per year for up to three years), as well as dissertation and postdoctoral fellowships. Funds two years of study at University of Cambridge for first-generation college student. The Elie Wiesel Prize in Ethics Essay Contest challenges college students to analyze current ethical issues in today’s world. Lewis & Clark professors are renowned researchers and scholars. Meet three of our dynamic professors. Grant-funded research by Lewis & Clark students and faculty is the focus of a new website. 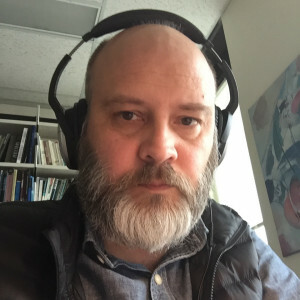 James F. Miller Professor of Humanities Nicholas D. Smith was awarded a National Endowment for the Humanities (NEH) grant to direct a five-week philosophy seminar at Lewis & Clark this summer. Current students share their top Lewis & Clark course recommendations. Meet some of our outstanding professors. As a philosophy and mathematics double major, Benjamin Hoffman B.A. ’13 is used to going above and beyond. This passion for exceeding expectations earned Hoffman the 2013 Rena J. Ratte Award, the undergraduate college’s highest academic honor. , professor of philosophy and 2013 Teacher of the Year. Students honor philosophy professor Rebecca Copenhaver. Collaborative research takes an interdisciplinary approach. An episode of the nationally syndicated radio program Philosophy Talk that was recorded at Lewis & Clark will soon hit the airwaves. Isaac Ekblad ’13 was sitting in a local coffee shop, cramming for a test when he was “discovered.” At the time, Ekblad declined the invitation to become a model. But now, three years later, he’s flying high for fashion house Givenchy while staying grounded as a philosophy major at Lewis & Clark. Joel Martinez, assistant professor of philosophy, recently received the Arnold L. Graves and Lois S. Graves Award in recognition of his outstanding teaching in the humanities. Professor Joel Martinez received the Graves Award in recognition of his humanities teaching excellence. This fall Lewis & Clark will offer its first course in experimental philosophy, a new sub-field that has caused a stir in traditional philosophy circles. Learn more about the field in a Q&A with Mellon Postdoctoral Fellow Michael Bruno who will teach the new course. Associate Professor of Philosophy and Department Chair Jay Odenbaugh has been selected as a 2015-16 Fulbright Scholar. This award will allow Dr. Odenbaugh to serve as Visiting Research Chair in the Philosophy of Science at the University of Calgary in Canada during part of his sabbatical next year.